Additional Info: Free view TV with built in DVD player, Travel cot, Hair Dryer. 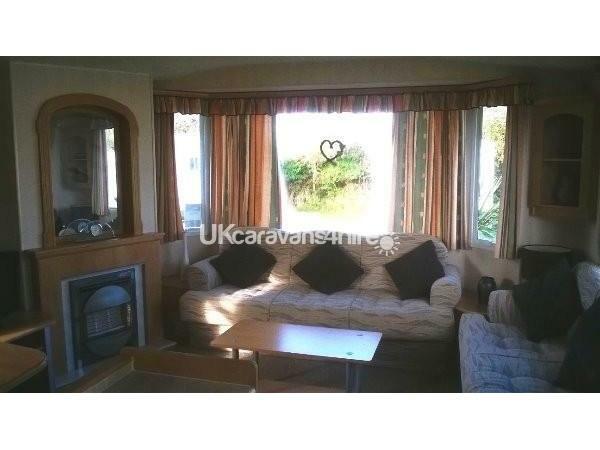 Our spacious family caravan is fresh and bright and is maintained to a high standard. Lounge: Large and spacious with feature gas fireplace, flat screen TV with built in Free view and DVD player. Selection DVD's and board games plus puzzles. Also a pull out double sofa bed. Plus separate dinning area with seating for 6. 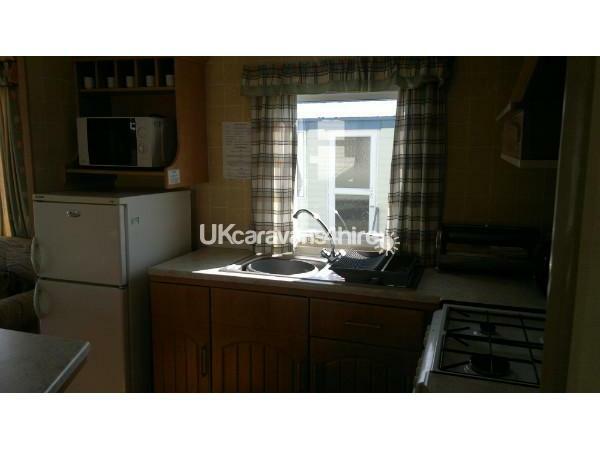 Kitchen: Well equipped with gas cooker, Fridge/Freezer, microwave, toaster, kettle and pots and pans, plates and cutlery. Bedroom 1: Double room with heater, twin wardrobe with storage. Bedroom 2: Twin room with heater, twin wardrobe with storage. 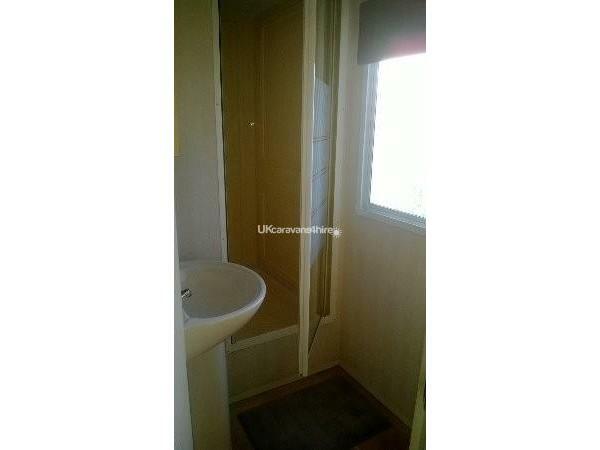 Bathroom: Spacious with large walk in shower plus basin. 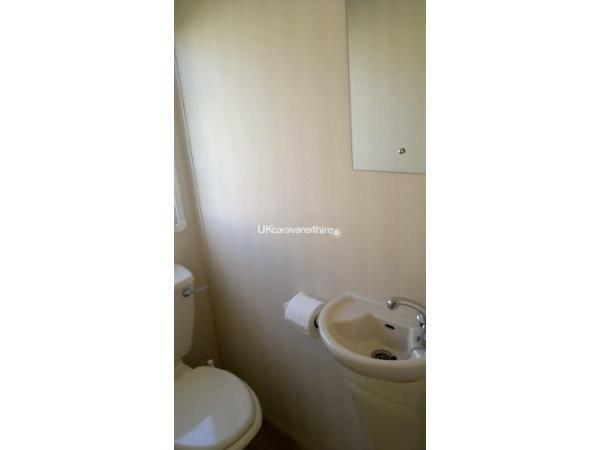 Toilet: Separate toilet room with hand basin. 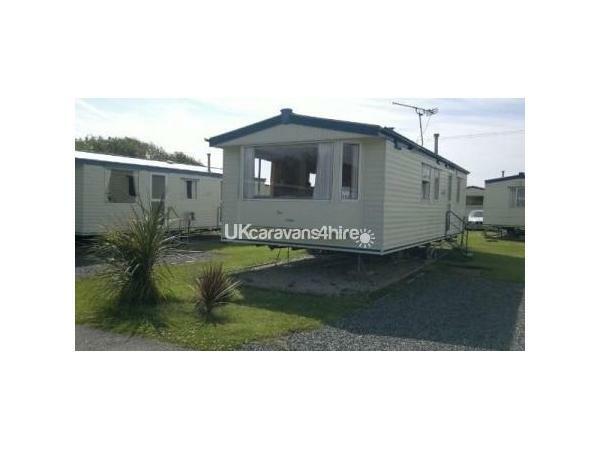 Parking: Gravelled area next to caravan. 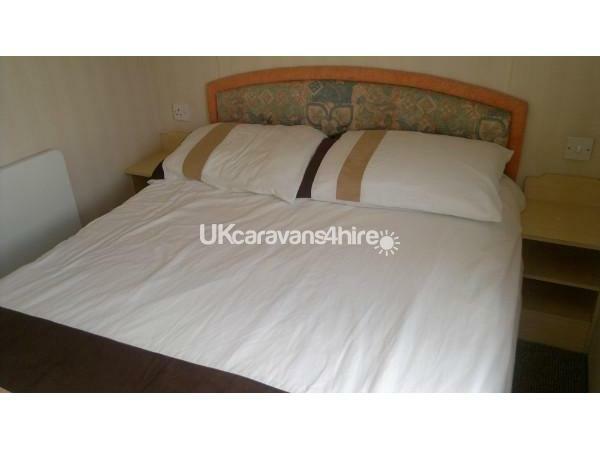 Duvets and pillows are supplied, but bed linen to be supplied by hirer. Club passes can be purchased from reception for a small fee. 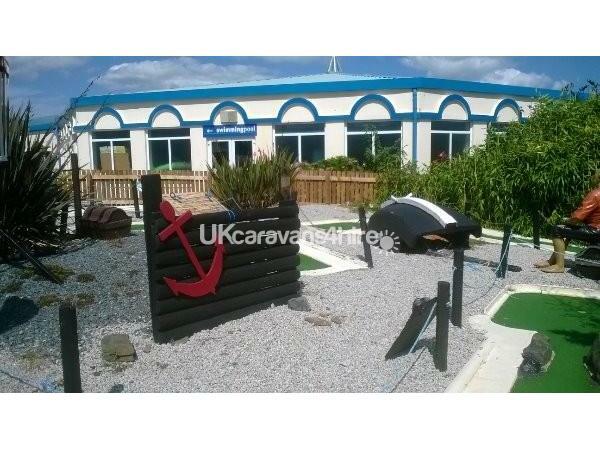 The caravan is located on the Award winning Parkdean Holiday park which has won the UK's Best Park operator for 6 out of the last 7 years from the British Travel Awards including 2017. Mullion is a lively park and ideal base to explore Cornwall's Lizard Peninsula. Think golden sand beaches for surfing and relaxation, hidden coves and rewarding coastal walks along the cliffs. Surrounding villages provide history and character that add to the Peninsula's unforgettable charm. Mullion is also an ideal base to visit such historical sights as Lands End and ST Michaels Mount plus the modern day Eden project. St Ives and Falmouth are only 20 miles away, also the theme park Flambards is only 7 miles away. The historic town of Helston is only 10/15 minutes away by car and hosts local shops including a Tesco, Sainsbury and Lidl supermarkets. There is also a host of top Cornwall attractions in the local area, plus glorious beaches, pretty fishing villages and stunning walks from the South West Coastal Path with scenic coves. There is also local activities such as sea fishing and boat trips, golf courses and horse riding. 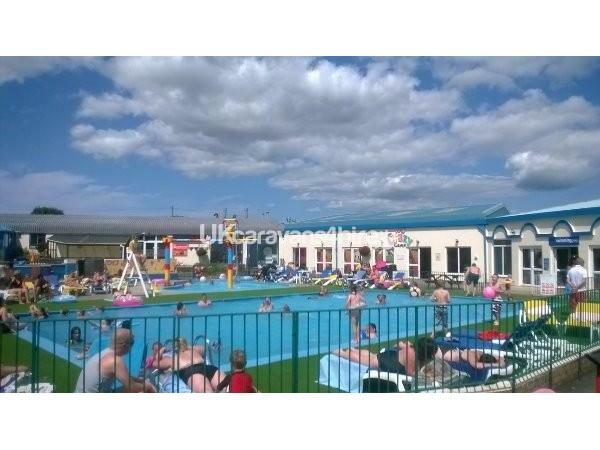 Enjoy Cornwall from a friendly run park with great facilities which include indoor and outdoor heated pools, live evening entertainment, crazy golf, outdoor and indoor play areas, restaurant, shop, amusement arcade and lots more. 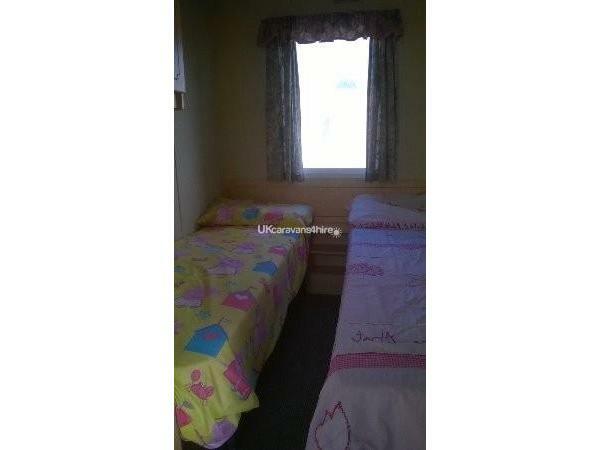 Great accommodation for 2 mature couples. Weather was excellent, if it wasn't there were enough games etc to keep us occupied. Didn't need any as World Cup group matches were on TV in the evenings!! The caravan was lovely to stay in clean and tidy. My children loved swimming the arcades and the Starland Crew also. I would definitely stay again and recommend to friends. We all had a lovely time. Great hoilday and such a lovely caravan owner was great and had so much fun would highly recommend to anybody thank you rich. So so happy with our visit. 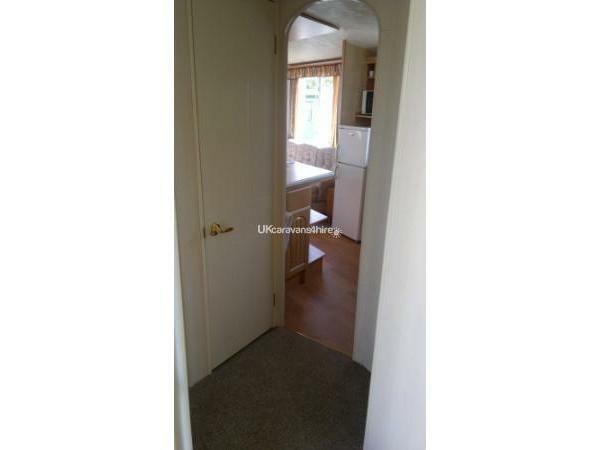 Caravan clean with all services in perfect running order. Bright, comfortable all in all a great stay. Park staff friendly and helpful. Near to lots of walks and coves. Owner very helpful and friendly. Highly recommended. Stayed here last year, and it was a most enjoyable stay. 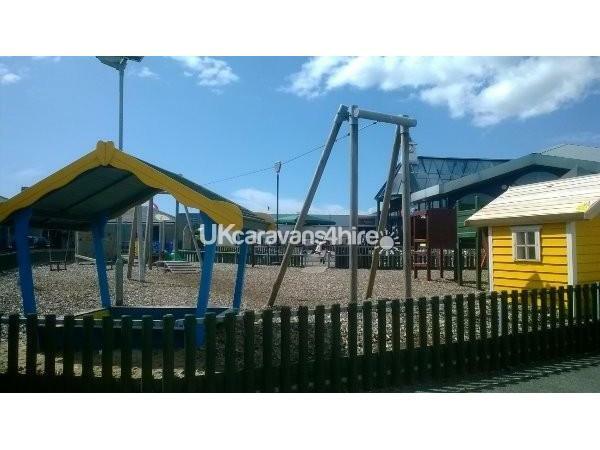 Great base for visiting the surrounding area of coast and beeches. 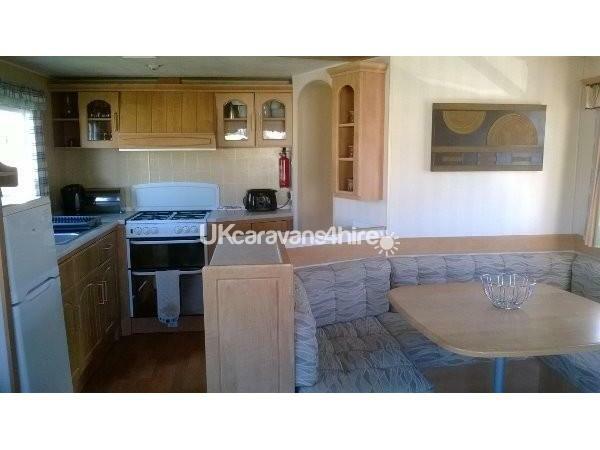 Very clean bright interior of caravan, with everything we needed. The owner was very helpfull and kept us informed. All in all i would definetly come back again would certainly recommend it to friends.